Private Limited Company is the most prevalent and popular type of corporate legal entity in India. Private limited company registration is governed by the Companies Act, 2013 and the Companies Incorporation Rules, 2014. To register a private limited company, a minimum of two shareholders and two directors are required. MCA has recently implemented major changes to the process and made it very simple to incorporate a company. In this article, we look at the private limited company registration process and documents required in detail. To register a private limited company, a minimum of two adult persons are required to act as Directors of the company. A private limited company must have a minimum of 2 Directors and can have a maximum of 15 directors. One of the Director of a private limited company has to be an Indian Citizen and Indian Resident. The other director(s) can be a Foreign National. Two persons are are also required to act as shareholder of a company. The shareholders can be natural persons or an artificial legal entity. 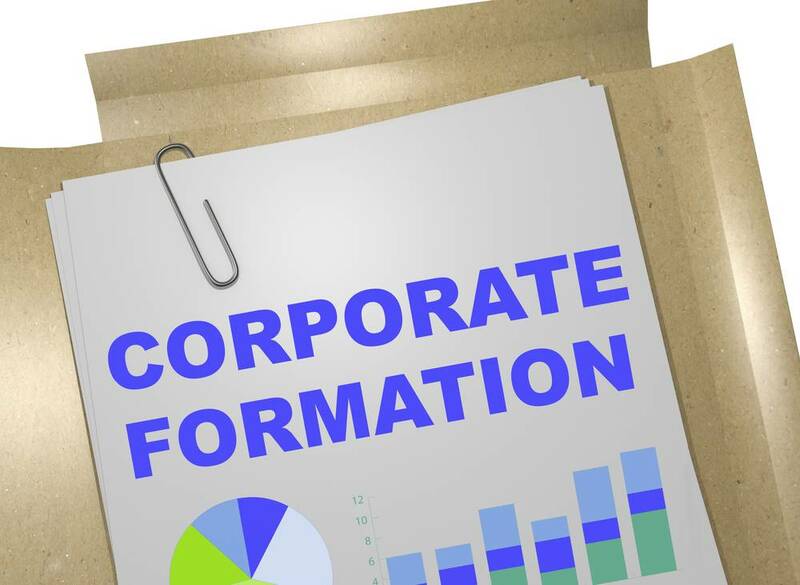 Hence, a company can be owned by two corporate, which are domiciled in India or abroad. Click here for full list of documents required for company registration. First name approval is obtained for the proposed company names from the Ministry of Corporate Affairs. Upto 2 names can be provided. In case of rejection of both names, an opportunity is provided for resubmission of the form with 2 more names. The name must be acceptable to the MCA as per the Companies Act 2013. Timeline: Name approval can be obtained in 1-2 business days. Digital signature must be obtained for the proposed Directors of the Company. Digital signature is required for signing of the incorporation application. However, digital signature is not required for obtaining name approval. Hence, this process of obtaining Digital signature can run parallel to the name approval process. Timeline: Digital signature can be obtained in 1-2 business days. On obtaining the Digital Signature, the incorporation application can be submitted in SPICe Form with the MCA. 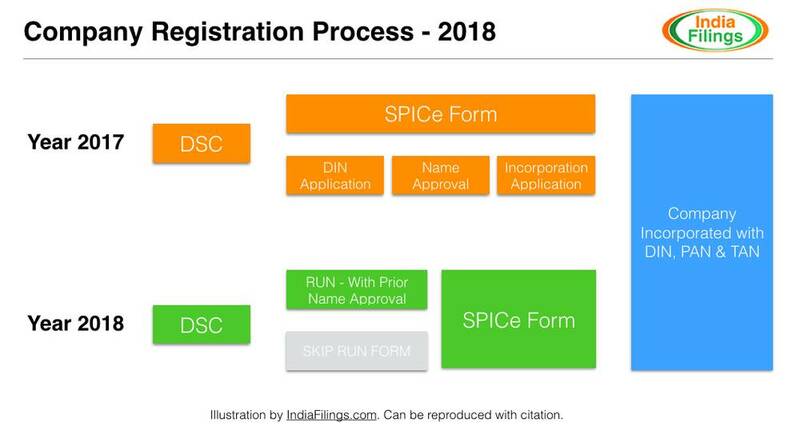 There is no requirement for obtaining RUN Name Approval for submission of SPICe Form. Hence, if RUN name approval was not obtained, if the name is available, the company would be incorporated. In case of non-availability of name, the incorporation documents must be resubmitted. Hence, its advisable to obtain RUN name approval before submission of SPICe Form. Timeline: Incorporation application can be prepared and submitted in 1-2 business days. On submission of the incorporation application, private limited company incorporation certificate along with PAN and TAN is provided within 1-2 business days by the MCA. An illustration of the incorporation process is reproduced below for reference. 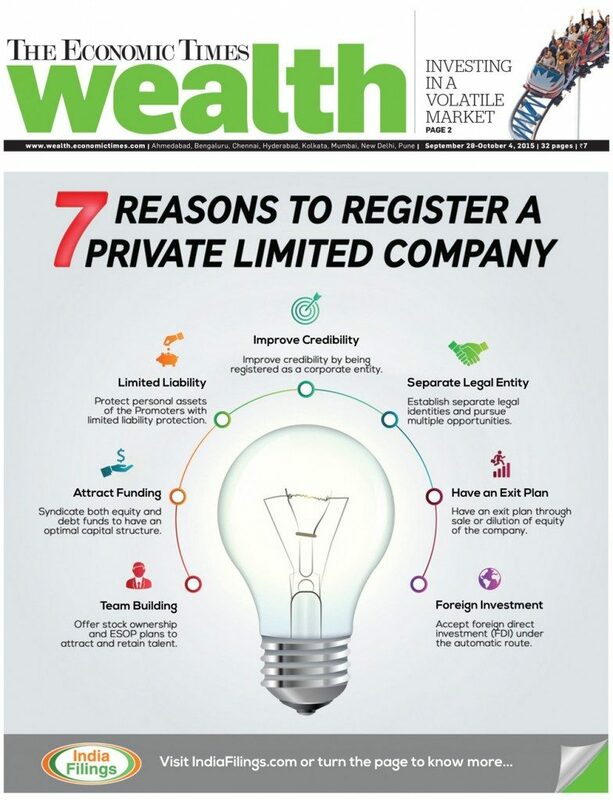 The following are some of the major reasons most Entrepreneurs choose to incorporate a private limited company. A company is a legal entity and a juristic person established under the Act. Therefore a company has a wide range of legal capacity like owning property and incurring debts. The members (Shareholders/Directors) of a company have no personal liability to the creditors of a company for company’s debts. A company being an artificial person, can acquire, own, enjoy and alienate, property in its name. The property owned by a company could be machinery, building, intangible assets, land, residential property, factory, etc., No shareholder can make a claim upon the property of the company – as long as the company is a going concern. Limited liability is the status of being legally responsible only to a limited amount for debts of a company. Unlike proprietorships and partnerships, in a private limited company the liability of the shareholders in respect of the company’s debts is limited to the equity invested by them in the company. Full list of advantages of incorporating a private limited company. Starting a company is easy through IndiaFilings. All that is required are PAN card of the promoters, address proof and bank statement copies of the promoters along with address proof for the registered office address. A company can be started in about 3 – 7 days. If you have the necessary documents, sign up for one of our packages and have a company registered with guidance from one of our Advisors. To register a private limited company, a minimum of two people are required to act as directors and shareholders. The directors must be natural persons, while the shareholders can be natural persons or corporate entities. In addition, a registered office address in India is also required for company registration. Can registered office be a residential property? Yes, a residential property can be used as a registered office of a company. However, empty land or vacant buildings cannot be used as a registered office. Can NRIs and foreign nationals or foreign entities register a private limited company? Yes, NRIs, foreign nationals and foreign entities can register a company and invest in India, subject to the Foreign Direct Investment norms set by the RBI. However, incorporation rules in India require for one Indian national to be a part of the company on the Board of Directors. Know more about FDI in Company. How to select a name from my company? Use the IndiaFilings company name availability search functionality to search for available company names in India. The name selected by you should not be identical or similar to an existing company name or LLP name or registered trademark. Click here to know more about naming a company.